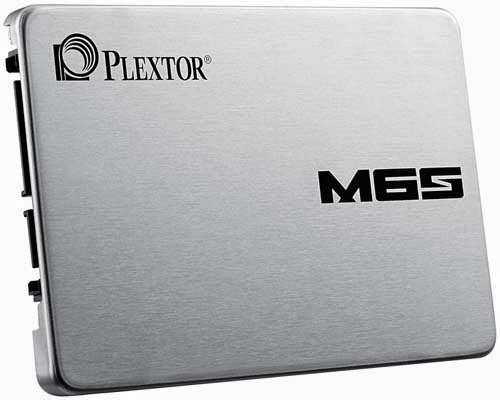 Plextor introduces new Solid State Drive - M6S, a highly efficient, high-performance SSD. The Plextor M6S is capable of delivering an impressive maximum random read/write speed of 94 000/80 000 and a 520/440 MB/s sequential read/write speed. This performance comes with power savings of 30% to 50% compared to the M5S. The DEVSLP power mode reduces power consumption to an incredible 2 mW. “The new M6S gives desktop and notebook users the ultimate system upgrade. Its combination of speed and efficiency makes it an ideal replacement for a hard drive. By installing an M6S rather than a traditional hard drive, Windows 7 boots in a quarter of the time, applications start quickly, and saving and loading become almost instant. Our tests even show that notebook users can gain an extra 30 minutes of battery time by using an M6S”, said Product Manager, Yaping Zheng. The Plextor M6S builds on the success of the best-selling M5S with improvements to every aspect of the drive. For the popular 128 GB capacity, the new drive offers write speeds 50% faster than its predecessor. It also has a new thinner 7 mm form factor, allowing the M6S to fit into recent generations of thin notebooks. At the heart of the M6S is the latest server-grade controller from Marvell, the SS9188. This powerful dual-core controller is combined with high-speed toggle-mode Toshiba flash memory and exclusive firmware developed in-house by an elite team. It has a new improved version of Plextor’s legendary True Speed technology, giving long-term performance stability and effective multitasking. Every individual Plextor SSD undergoes rigorous testing that simulates real-world use and an extended burn-in procedure for total stability. M6S SSDs are backed by a 3-year warranty and an extensive support structure with technicians on hand to help end users get the best from their SSDs. The Plextor M6S SSD will be available April 2014 in 128 GB and 256 GB capacities, and in a 512 GB capacity in Quarter two 2014.
sir nakakatakam naman to, kailan ba ako makakabili nito at magkano ba? ganda nito for games! bro i think wala pa nga nito sa pinas, but kung sana pumapalo lang to ng 5K to 6K range bibili ako kaya lang sadly to say, SSD are expensive, just look at the price of Intel SSD, mapapaisip ka na lang bumili ng 4TB HDD. sir ask ko lang, hindi ba mabilis uminit ang SSD kagaya ng HDD? hindi sir mas mabilis pa din yung HDD, SSD kasi meron ng energy efficiency.